DAS GESICHTSGITTER WIRD OHNE HELM VERKAUFT. DER HELM MUSS SEPARAT BESTELLT WERDEN. Im Lieferumfang ist ein Hardware Sack enthalten. Das Bild dient der Veranschaulichung. Abweichungen sind möglich. IWenn du nach dem beliebtesten und meistgefragten Facemask weltweit suchst ist das Schutt Super Pro die richtige Antwort. Extrem Widerstandsfähig und robust bietet es Spielern aller Altersklassen die Möglichkeit mit hervorragender Ausrüstung zu einem komfortablen Preis zu spielen. If you’re looking for the most popular and most requested faceguard in the world, then you’ve found the right answer – the Schutt® SUPER-PRO® carbon steel faceguard. 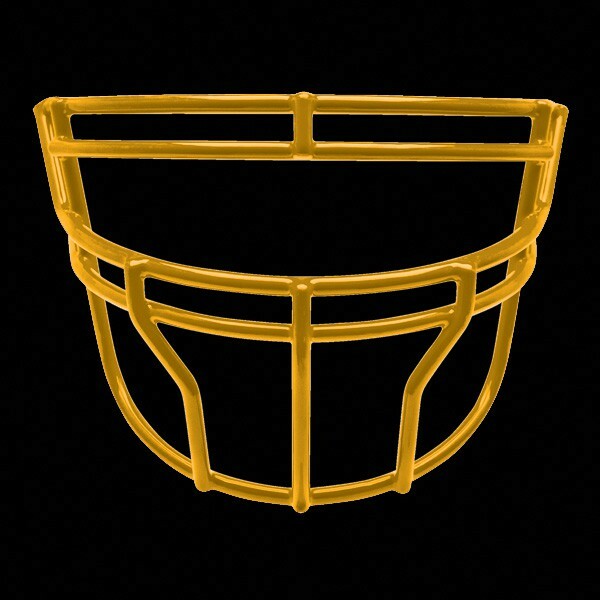 Incredibly durable and rugged, the SUPER-PRO® carbon steel faceguard offers players at all levels the chance to play a superior piece of equipment at an economical price. Anyone who puts on a Schutt® faceguard knows they’re putting on decades of the industry’s leading design, research and development. Constructed of premium carbon steel, the SUPER-PRO® is what more players choose to put on their helmets than any other faceguard on the planet. Weiterführende Links zu "ROPO DW XLarge"
Kundenbewertungen für "ROPO DW XLarge"